The renaissance of Hawaiian culture has revived many traditional arts, including hula, music, lei, and herbal medicine. In one way or another, all of these arts are intimately related to plant life, and their resurgence has called attention to the vital link between the flora and culture of Hawai'i. 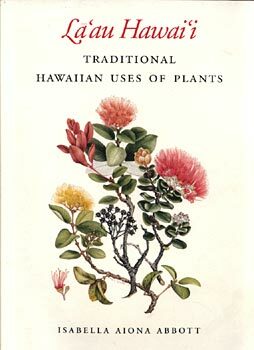 Intended for a general audience, La'au Hawai'i provides the first comprehensive description of Hawaiian plant use. It shows how Hawaiians cultivated and used plants for food, clothing, shelter, transport and tools, as well as religion and recreation. For easy reference, an index lists each plant, its propagation and its principal use; numerous photographs illustrate both plants and crafts. Although her story illuminates the past, Abbott looks forward as well, arguing that efforts to revive Hawaiian culture depend upon the protection of traditional plants and the perpetuation of ancient knowledge of their use.